As the ice in the arctic melts, so the ice upon which Donald Trump chooses to skate continues to thin. 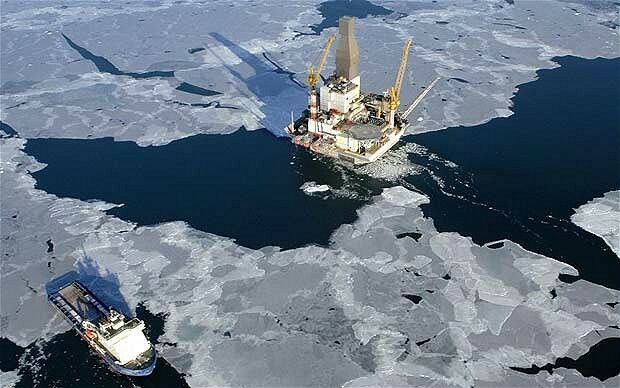 The new American president continues his attempts to overthrow Obama’s permanent block on exploiting oil and gas reserves in the Arctic by pushing ahead with his executive order to open up the region to drilling. This however is expected to draw a host of legal challenges. First up is the fact that the law itself enforced by Obama has no provisions for reversal buying this precious planet a little more time. Despite the executive order, Interior Secretary, Ryan Zinke has since issued a statement confirming that there have been no requests by oil companies for leases, which is at least some good news. This together with Shell’s exploration of Alaskan waters sinking somewhere in 2015 has further given us some room to breathe, so to speak. The Arctic however, is not as merciful and is becoming more and more unpredictable as the years pass. This being said, it will take at least ten years if not more, to build any form of infrastructure that allows the extraction of fossil fuels followed by the transportation and possible clean-up of any kind of disaster should one occur. Regardless of the time, that in itself is a pretty large investment, especially now when we are trying to focus on a green era. Apart from basic infrastructure challenges, there are a range of reasons why drilling for gas and oil in the Arctic forms a bad idea. The Arctic council has since published an assessment of the region indicating that there has been a rise in temperature and that this rise is more than twice the average increase of the past 50 years globally. Furthermore, it is predicted that by 2030, summer months in the arctic could be characterised with no ice at all. They have further said that if exacerbated climate change is to be avoided, these changes such should be kept to a bare minimum if not at all. In addition, many researchers have concluded that a third of the global oil reserves and half of the gas reserves should remain unused if the goals of the Paris Agreement on Climate are to be met which inevitably means that the Arctic should be completely off limits. Much research and predictions have shown the changes over time from a cooler Earth with a thick blanket of carbon dioxide for protection to increased radiative forcing over the last half a billion years. These predictions also show that if carbon dioxide levels continue to rise, then the radiative forcing and response from the Earth’s system would worsen. Regardless of which way you look at it and from where in the world you are, Donald Trump’s executive order to drill in the Arctic are both unsafe and reckless. What a hoot. Liberals are deeply concerned about the possibility of separating young whales from their mommies, but they’re not at all concerned about killing their own young–in the torturously painful death of convenience abortion–to escape the Natural consequences of their own selfish choices. Typical.